MHES 2018. 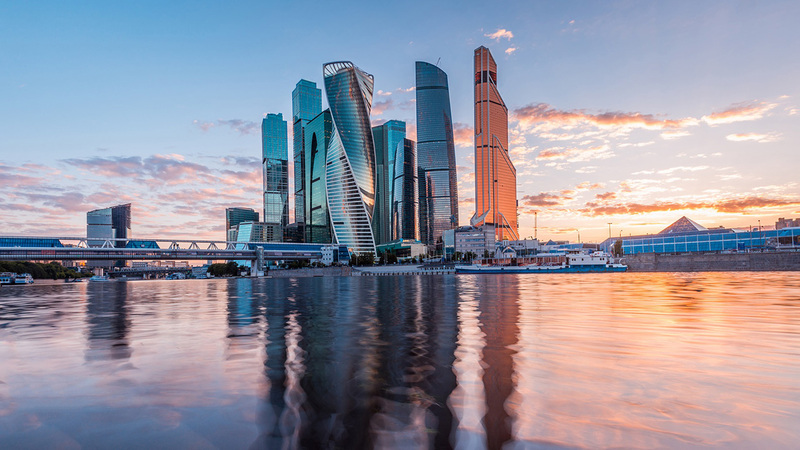 Once again—the way it had been 7 years ago—Moscow's Hi-End Show became the main cultural event of this year's fall in the Russian capital. 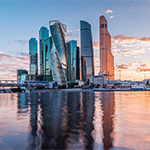 For three days in November (9th to 11th), the Moscow Holiday Inn Tagansky hosted the MHES® show. Among its exhibits were premium systems and components. Home cinemas and 'smart home' systems were conspicuously absent. Unusual novelties and thoroughly thought-out solutions, famous brands and ingenious designs bearing less-known names (and sometimes none at all, being just prototypes), abundant albums of mostly vinyl and reel-to-reel tape, a relaxed atmosphere, active involvement of visitors, their keen interest and communications, excellent sound quality and lots of music — that's what MHES 2018 was all about. 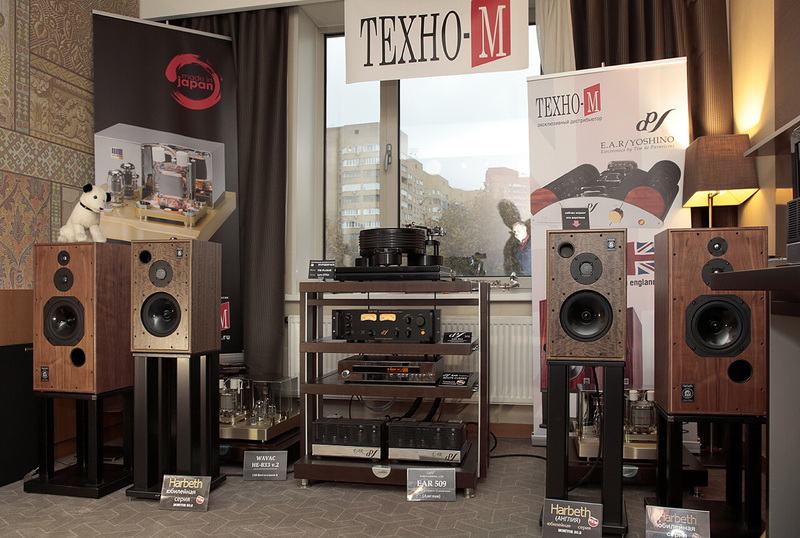 Techno-M Company traditionally based its systems on Harbeth speakers, Kuzma turntables and EAR amplifiers. This time Harbeth Limited Edition speakers manufactured to mark the company's 40th Anniversary (incl. 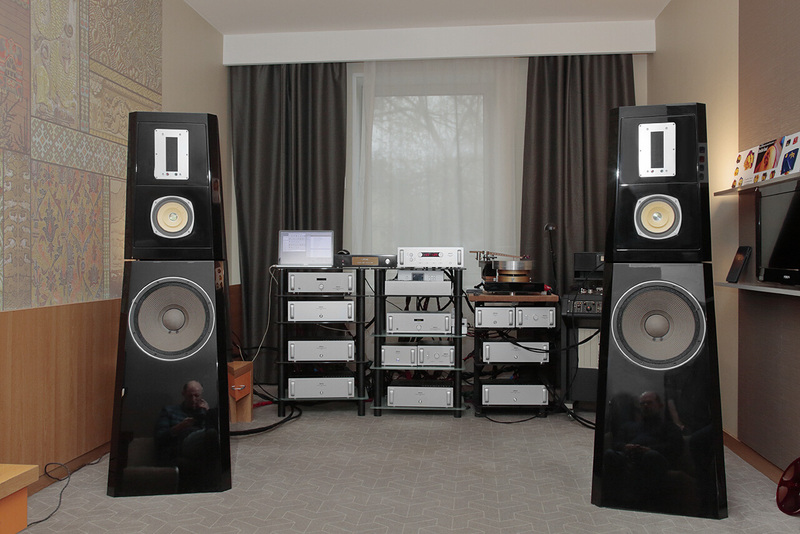 Super HL5 and Monitor 30.2) exhibited in conjunction with an EAR amp, a new Lavardin ITx-20 and Kuzma Stabi turntable featuring a 4Point 9 tonearm. It resulted in a pedigreed and refined sound filled with appropriate retro overtones. 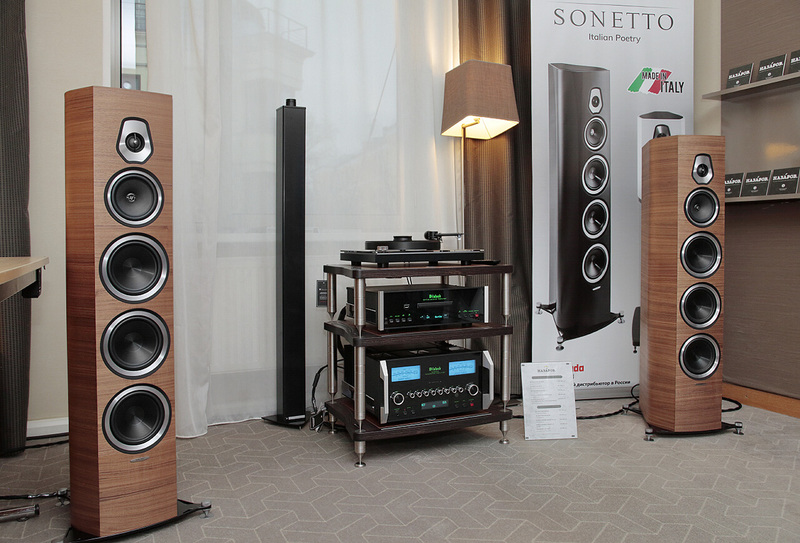 Nazarov Gallery presented an Italian/US alliance of McIntosh electronics with Sonus faber speakers. 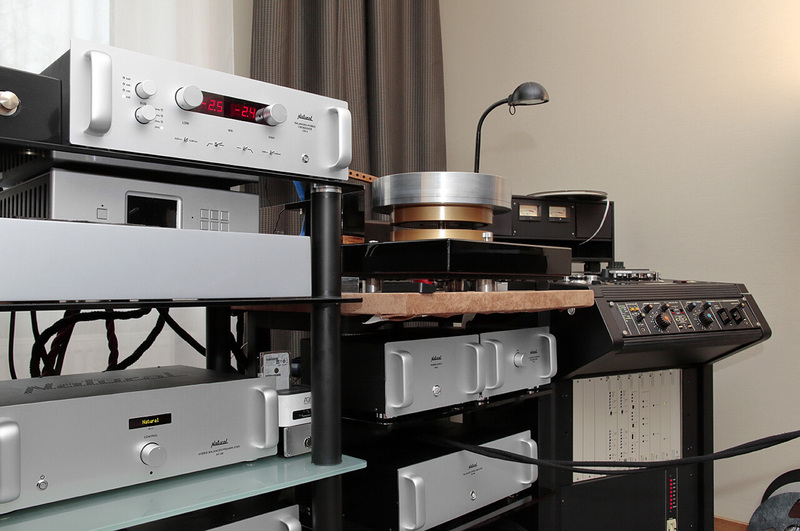 A Sonetto VIII reproduced the signal received from a McIntosh MT2 turntable and MA9000 integrated amp. Beside them were an MA252 tube amp and Sonetto II speakers. One of the most striking exhibits was Murat Altuyev's audio system (911 Audio) with its 'translucent' concept, perfectly balanced sound and refined musicianship. 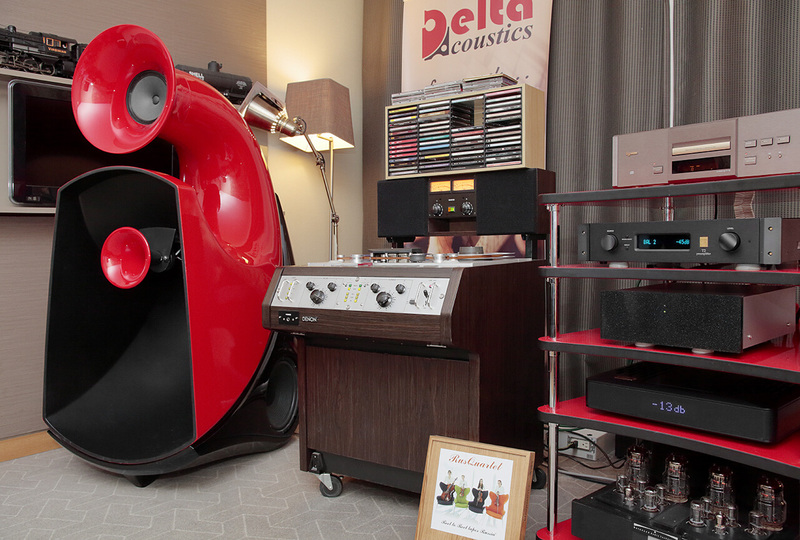 Delta Acoustics presented the Selena SA horn speakers premiered earlier this year in Munich. In this combo the corpulent Selena SAs worked together with a Denon reel-to-reel machine and Esoteric digital source. 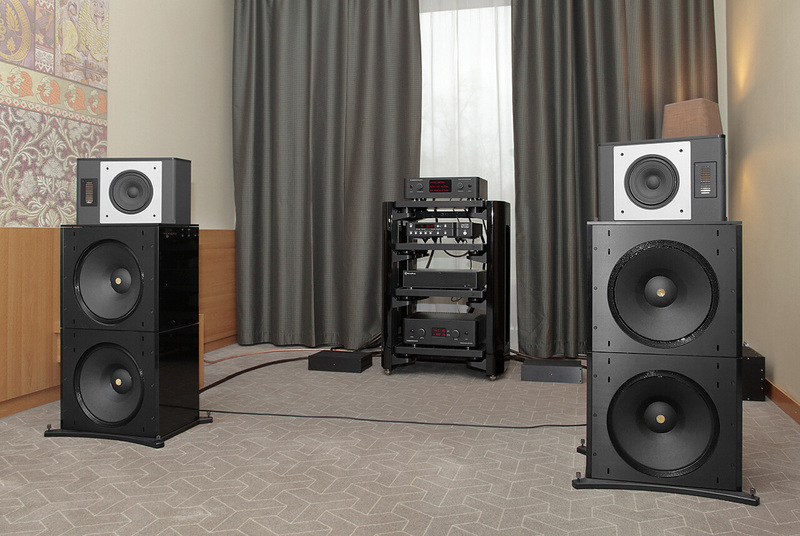 Audio Solutions' Figaro XL tower speakers from Lithuania and a Bricasti Design M15 stereo amplifier comprised the focal point of the Milky Sound room. Here one could also see an interesting Russian design, namely the FelixAudio TVC, a transformer volume control unit with microprocessor management. The system effortlessly played back any type of music. Year after year Gong AV leave an indelible impression on us listeners with impeccable balance and unique musical tact. 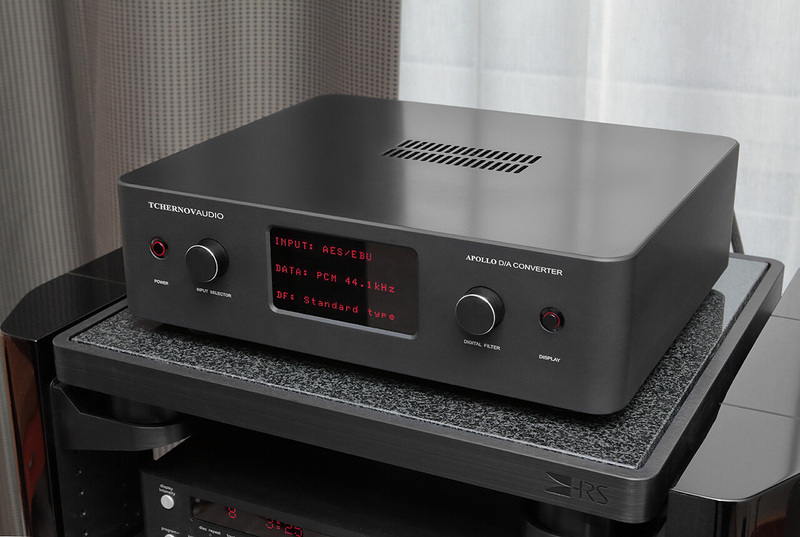 The company introduced its guests to several extraordinary machines like the Acoustic Signature Signature Thunder featuring a Supreme-Analog Tangenta 14 arm and optical pick-up equipped with a DS-Audio DS-W2 phono preamp, a single-ended Aries Cerat Genus tube amp and Montana Sammy speakers. The company also presented the vibration-suppressing SAP Relaxa 530 platform with magnetic suspension and an LP Analog computer program for precision tuning of a turntable. 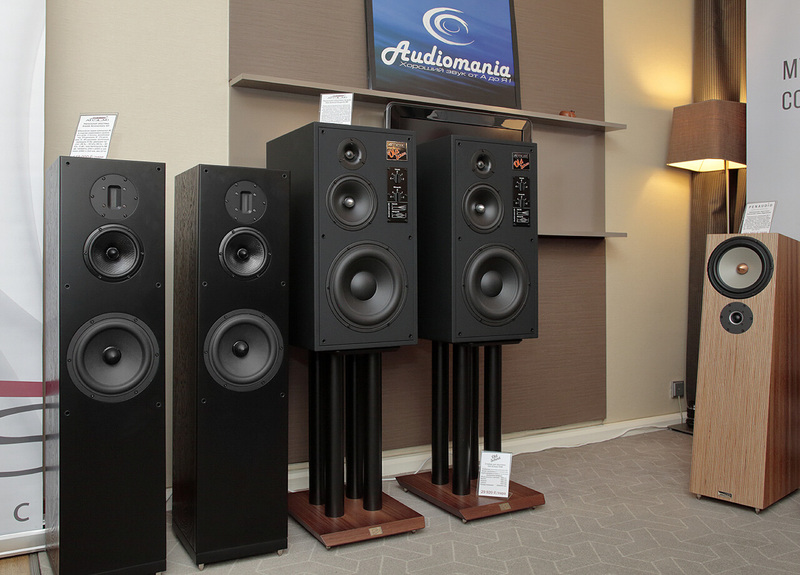 The Audiomania system consisted of Penaudio Alba Signature speakers, CD Atoll MD100 CD Player and Octave V40 SE tube amp. 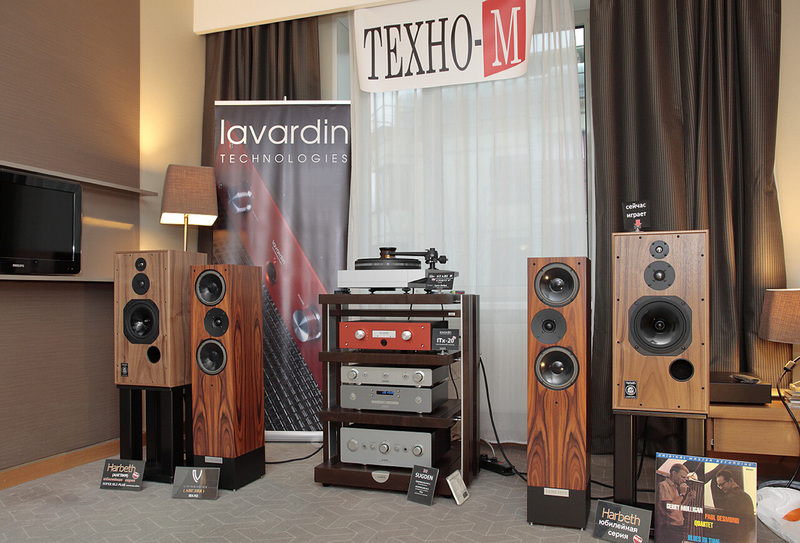 Speakers by popular brands ArsLab and Old School Audio also showed. Open and lavish sound marked by top audiophile quality was demonstrated by Tchernov Audio featuring Wolf von Langa Chicago speakers and the following Tchernov gear: Apollo DAC, DFT Ether file transport, Titan amplifier, PF6/Digital and PF6/Power conditioners plus Tchernov cables including the latest Reference DSC SC speaker wire. 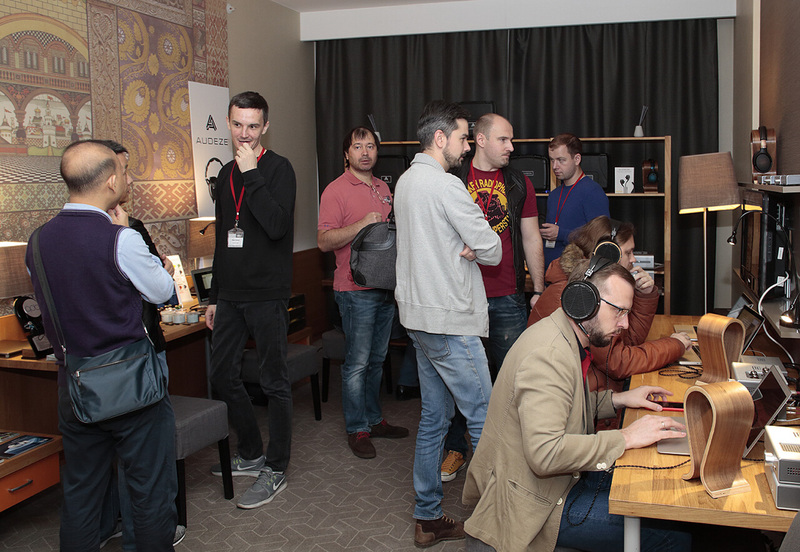 Meeting their MHES 2018 guests, Tchernov Audio representatives talked about new products and answered many a question. 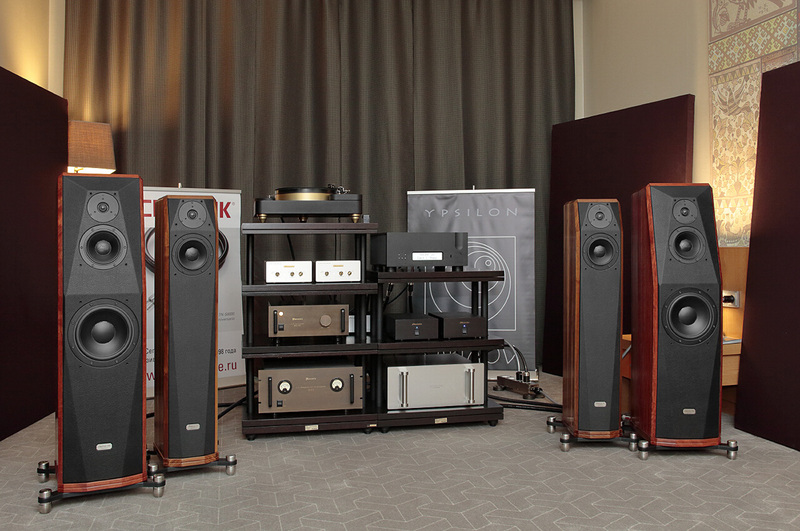 The Hi-End Centre Company managed to achieve outstanding results from a standpoint of natural sound. 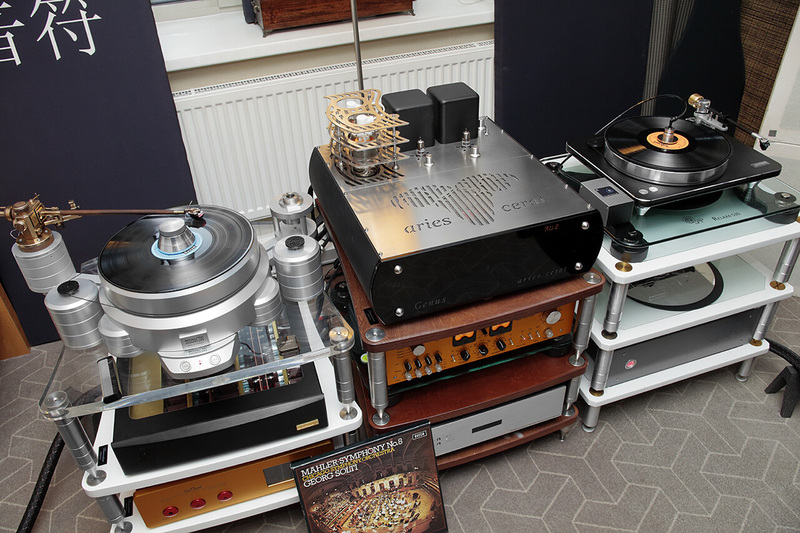 The heartfelt musicality was stimulated by quality vinyl as well as choice of music tracks. The audio source was a TW-A?usti? Limited turntable fitted with proprietary 10.5" arm and top Phasemation PP-2000 cartridge presented to visitors for the first time. 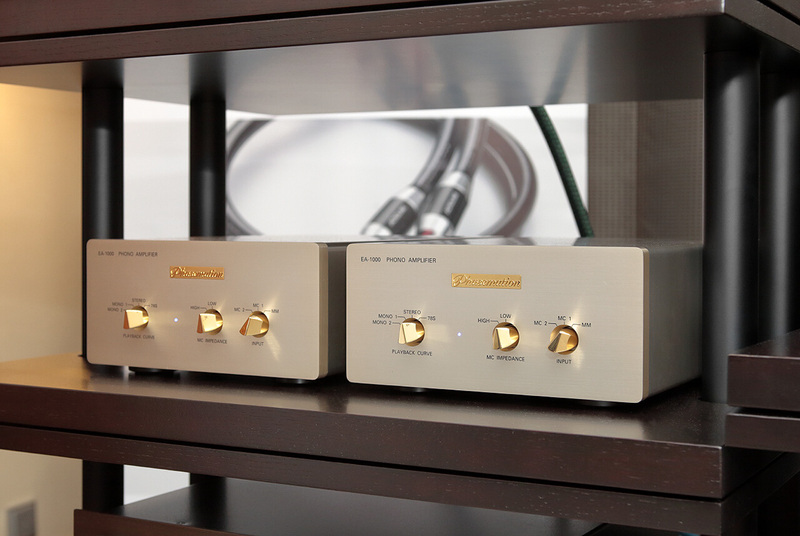 Phasemation's EA-1000 four-piece Phono amp also premiered. Peak Consult speakers were responsible for the final sound. 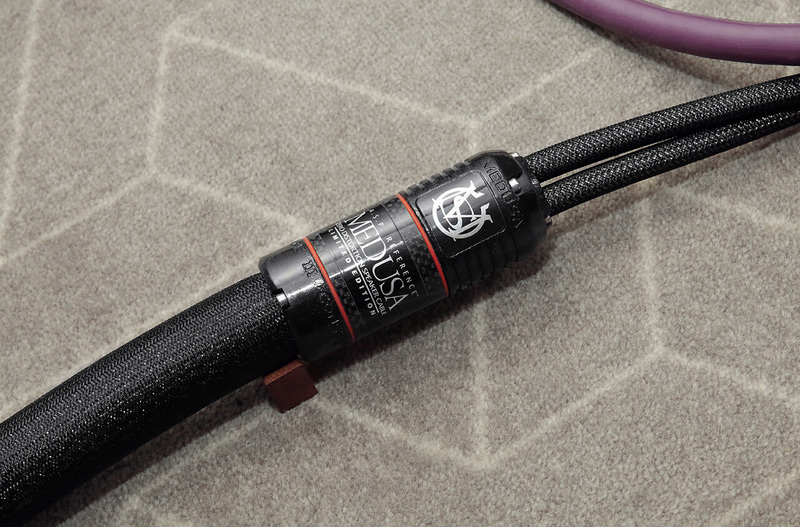 Cables from Acrolink featured the premiere 7N-S8000 and 7N-S10000II Mexcel Bi-wired acoustic cables. 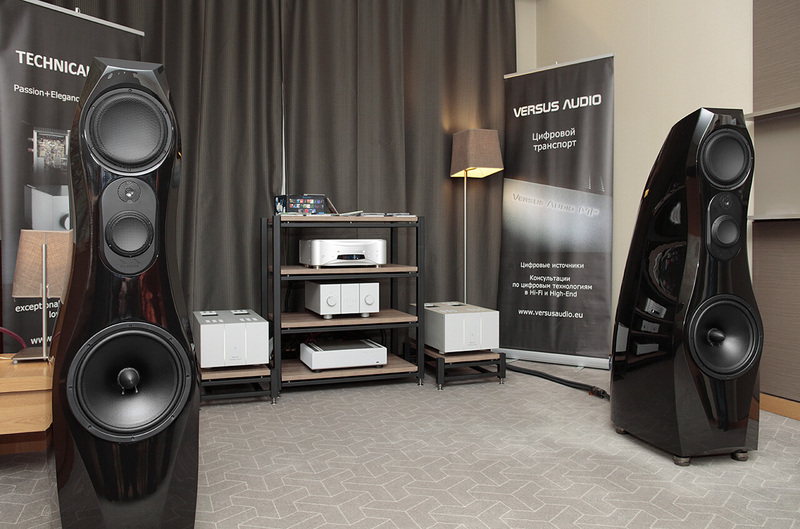 A prototype presented by Audio Video Dizainas featured a 4-way design with active bass unit. Their speakers connected to Technical Brain amplifiers by means of Stage III Concepts cables. 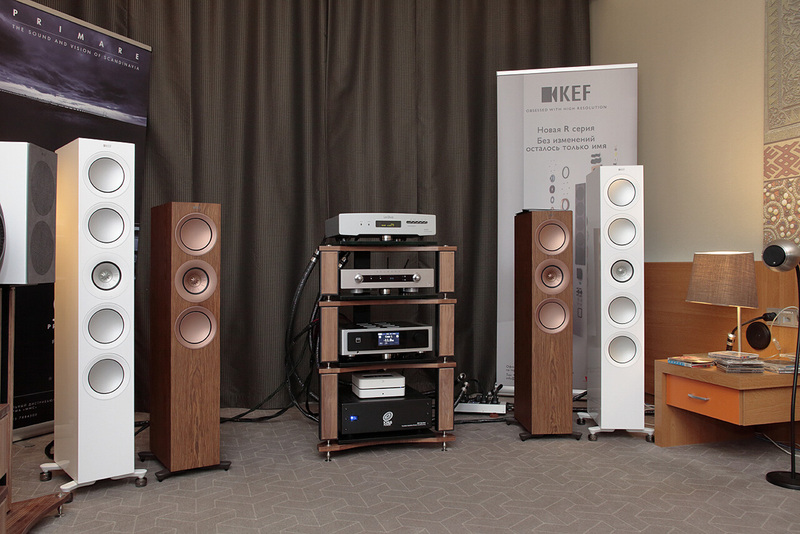 MMS and High End Avenue introduced guests to the latest KEF products. 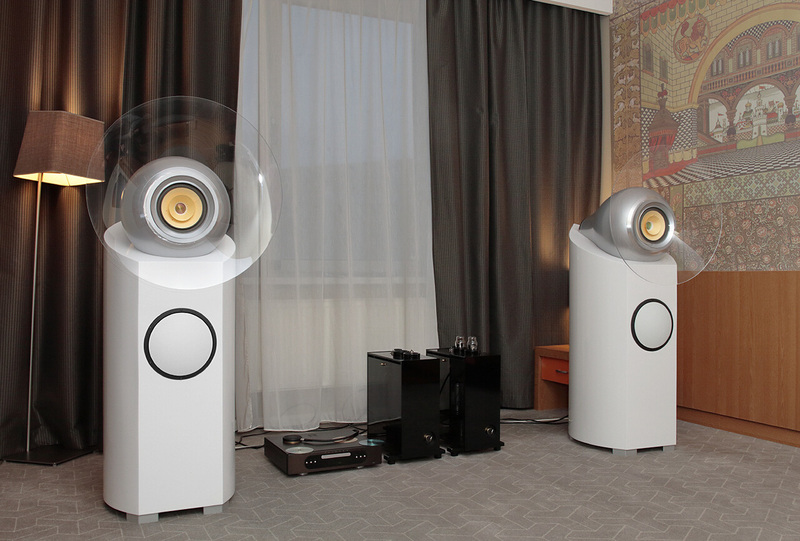 The wireless KEF LSX and LS50 W as well as LS50s (quite familiar to audiophiles) worked with Primare electronics featuring Prisma technology. 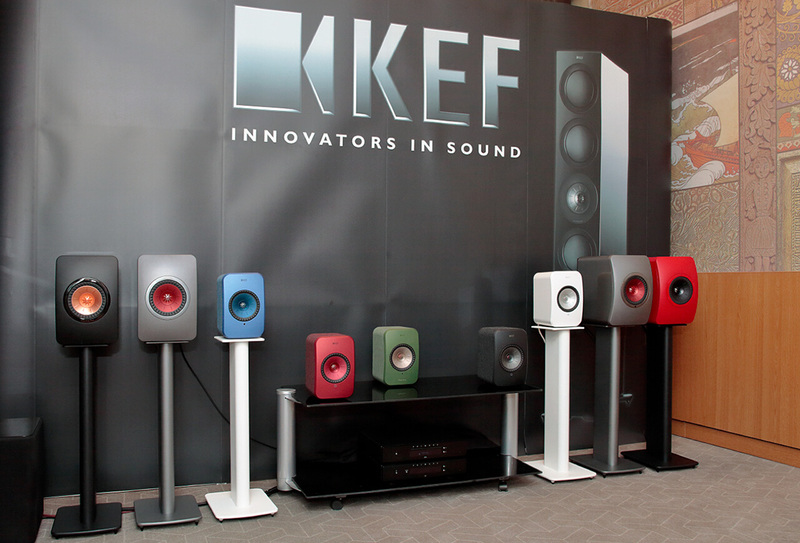 KEF R-Series models like the R11, R7 and R3 were also introduced to Russian shoppers. 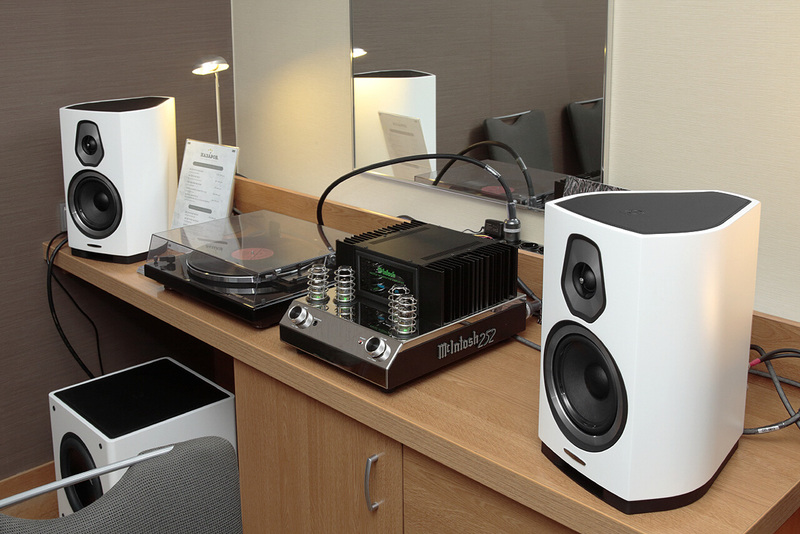 A great deal of interest among visitors was aroused by a top-notch integrated on-wall Lyravox Stereomaster SM-2-200 stereo system from Hamburg. It sounded nothing short of spectacular. Perfectly balanced sound and extraordinary musicality were inherent in the Natural Audio system. 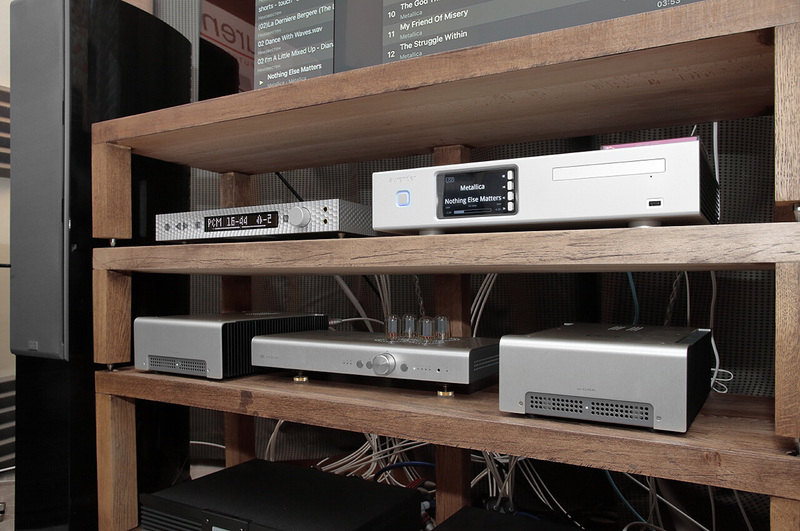 It consisted of a pair of 3-way speakers, a customizable standalone crossover, a hybrid DAC and a phono amp. Each driver was powered by a separate mono block. All components were manufactured by Natural Audio. 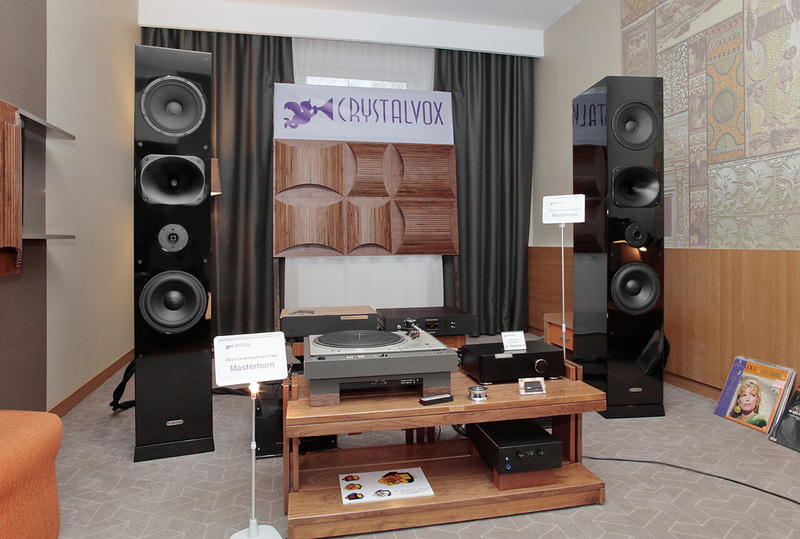 Crystalvox audio products designed by Valeriy Gillev are well-known to audiophiles. At MHES 2018 their horn-loaded Masterhorn towers delivered an articulated vivid sound and large-scale stage. 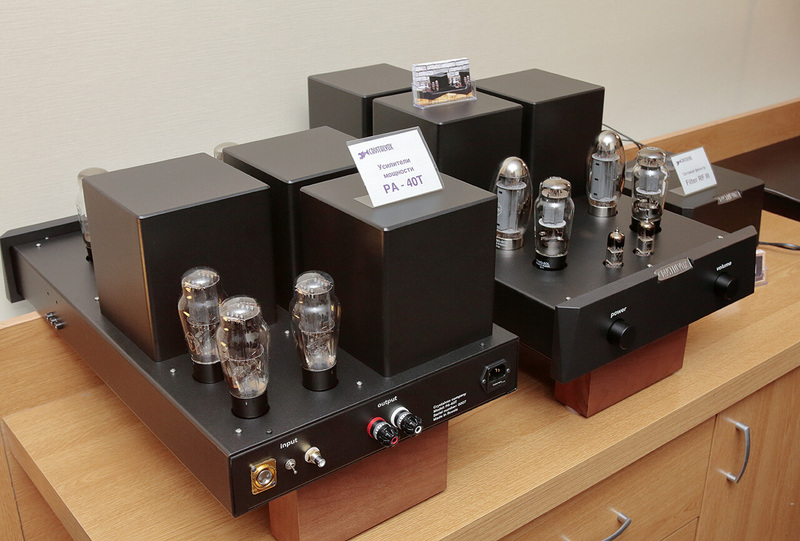 Nevertheless guests couldn't help notice the static display of balanced PA-40T tube amplifiers. 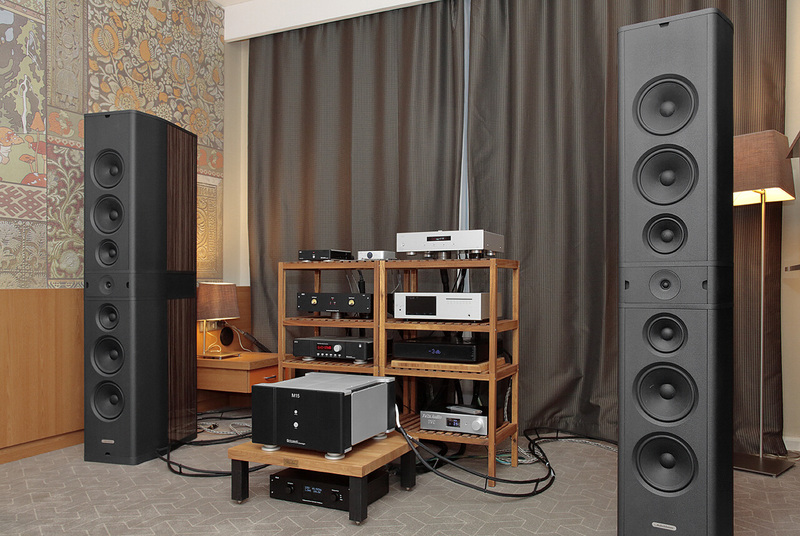 In a pair of suites Simple Distribution presented a wide range of Magnat and Emotiva products, effectively demonstrating their capabilities. Digital offspring by Schiit and Aurender were abundantly present in the expositions of Digital Fruits. 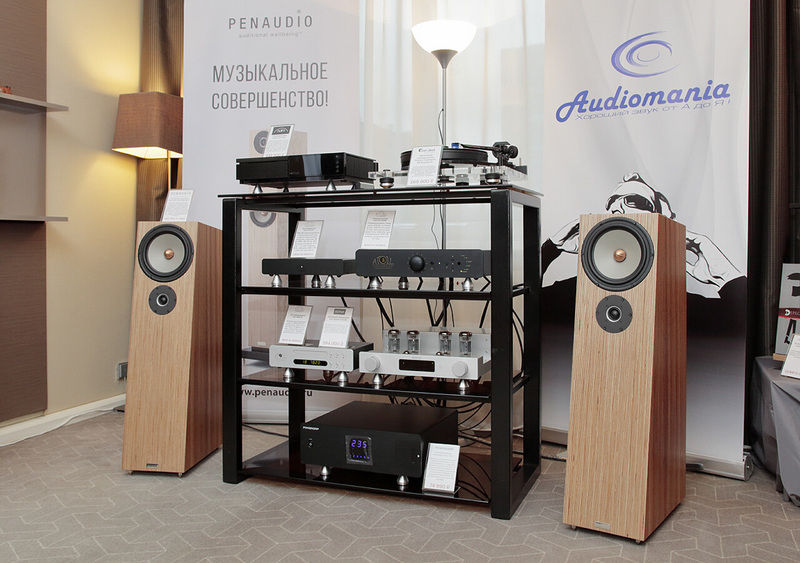 The Moscow Show also introduced Russians to Mytek like in the audio system comprising an Aurender ACS 10, Schiit Freya and Vidar plus Sonus Faber Olympica III with Mytek's Manhattan DAC. In the other suite, various Audeze headphones were driven by Schiit and Aurender devices and worked in perfect synergy. 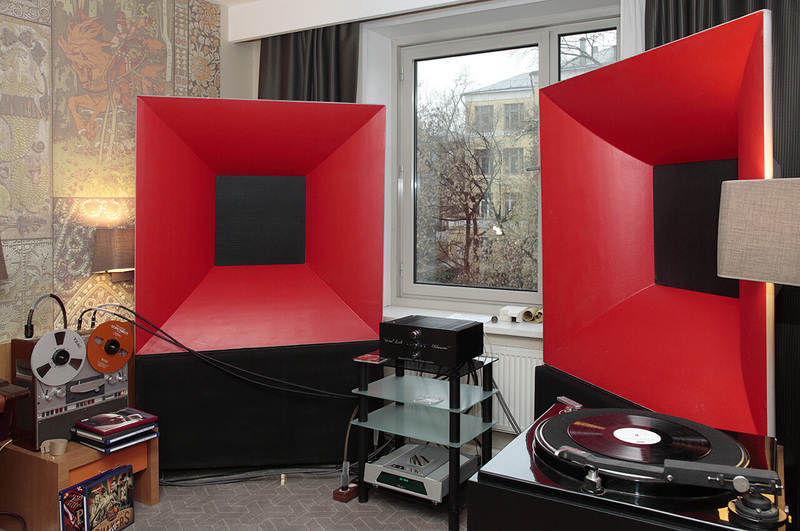 Among other exhibitors, Zavalinka Records encouraged attendees to experience the advantages of analogue sound by listening to a Studer A807 reel-to-reel tape deck, Gates CB-2 turntable and horn speakers designed by Alexander Knyazev. 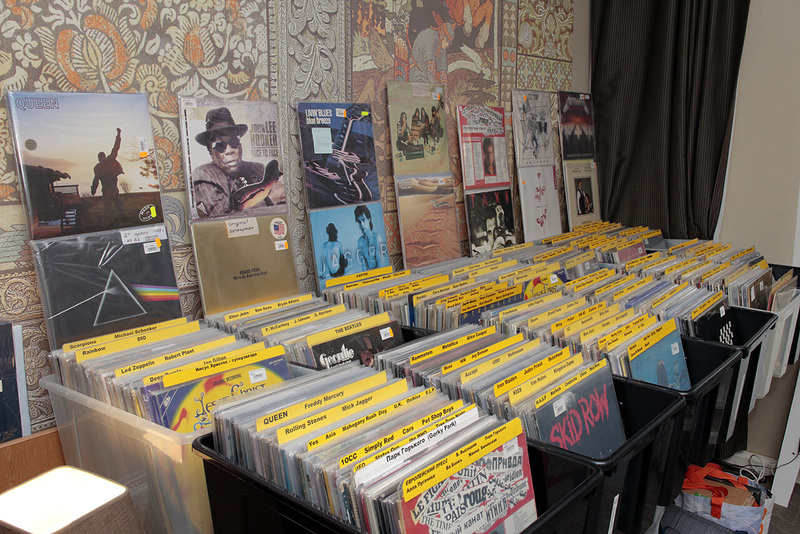 MHES 2018 also gave its guests the traditional opportunity to buy a wide range of records from Discorama, Vinyl Bazar, Vinylplanet, Lazer CD and Nikitsky 12. Naturally vinyl dominated. Translation by Slava Savvov. Photos by Vigen Amamchan.